The United States is apparently fuming over the recent blows to the dollar, as a strengthening yuan is rousing a heightened response. The world is now watching video from a stunning ballistic missile display over the U.S. West Coast that was timed with China’s latest currency announcement. China took another step to boost the yuan’s global usage, saying it will start direct trading with the Swiss franc, as the nation pushes its case for reserve-currency status at the International Monetary Fund. The link will start on Tuesday, the China Foreign Exchange Trade System said in a statement, making the franc the seventh major currency that can bypass a conversion into the U.S. dollar and be directly exchanged for yuan. It would seem that the U.S. has been posturing for war in response to loosing ground on the global economic stage, dramatically test firing a missiles with the yuan’s recognition in mind. Seemingly, the missile firing was a demonstration of power to the American people themselves as well, demonstrating to them along with foreign powers that the U.S. military is ready for an excuse to strike. It stands as a potentially incendiary show of force to rival powers China and Russia as the monetary hegemony of the dollar faces its gravest challenge yet. Missile launch over San Francisco from Justin Majeczky on Vimeo. 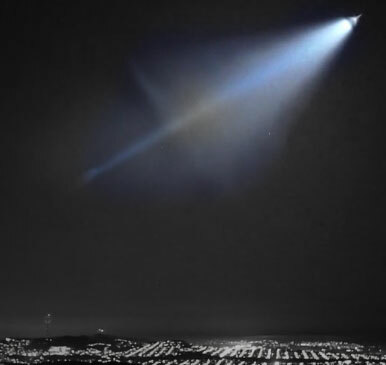 Just after 9pm local time on Saturday evening, a dramatic white light lit up not only all of California, but stretches of Arizona and Nevada, in what was subsequently revealed to be an unannounced launch of a Trident II (D5) missile from the Kentucky, an Ohio-class ballistic missile submarine situated off Point Mugu. Suddenly, the image of a full blown third world war creeps into the psyche. It somehow seems drearily real and within sight. It was initially reported as a UFO, or “like something out of the movies,” but the truth is more stark. It was an admitted missile launch test that reportedly lit up the entire sky over all of California, and also was seen in skies over Arizona and Nevada. They were fired from an SSBN sub; ultimately the missile was witnessed “disappearing far off into the sky on its long voyage to the Marshall Islands,” the targets of the test. The hysteria of the sighting to should include outrage at the attempts by the Pentagon to drag us into a wider war. It seems that if things are about to go bust, things will go boom first. “Navy Strategic Systems Programs conducted scheduled Trident II (D5) missile test flight at sea from USS Kentucky, an Ohio Class SSBN, in the Pacific Test Range off the coast of Southern California. The tests were part of a scheduled, ongoing system evaluation test. Launches are conducted on a frequent, recurring basis to ensure the continued reliability of the system. Each test activity provides valuable information about our systems, thus contributing to assurance in our capabilities. That’s the official position. Behind that there are many covert operations going on across all sides, along with many of the largest full scale military exercises being displayed by Russia, the U.S., China and NATO ever witnessed. Arguably, we are on the edge of WWIII on any given day. Just recently, Obama sent a Naval Destroyer ship to disputed international waters, where China has laid claim to sovereignty around an artificial island it constructed. Industrial accidents. Explosions in Chinese factories, stealth moves and counter moves all go little reported and unconnected to larger events. But that doesn’t mean things are quiet. War is particularly good for business, but it would take a big effort to gain big returns. Regardless, the games are on. Billionaire global meddler George Soros warned several months ago that a currency war with China could go hot, and that the threat of a third world war was indeed real. 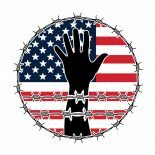 This entry was posted on November 14, 2015 by conspiracyanalyst in Conspiracy Theories, Currency, Economic Warfare, Military, Psychological Warfare, U.S. Dollar, US News, War & Peace and tagged China, nuclear missiles, US Dollar, Yuan.